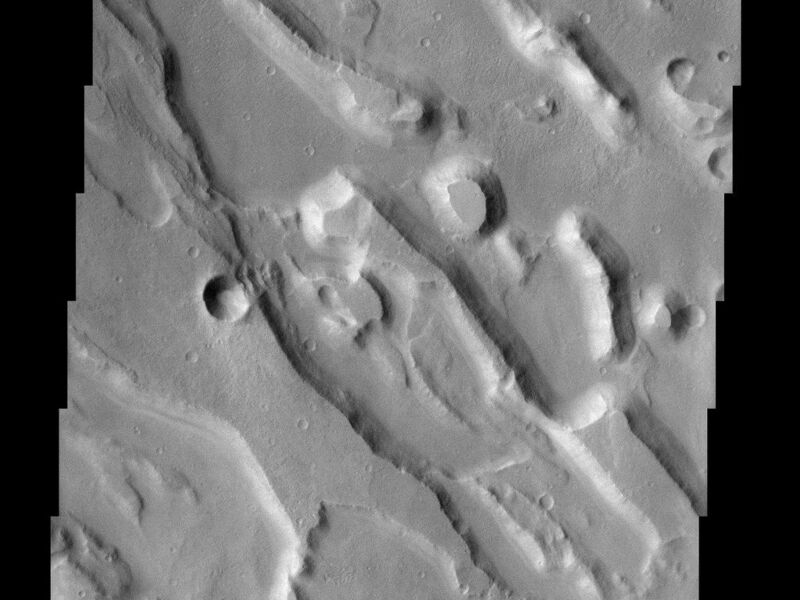 This jumble of eroded ridges and mesas occurs within Ares Vallis, one of the largest catastrophic outflow channels on the planet. Floods raged through this channel, portions of which are up to 25 km wide, pouring out into the Chryse Basin to the north. 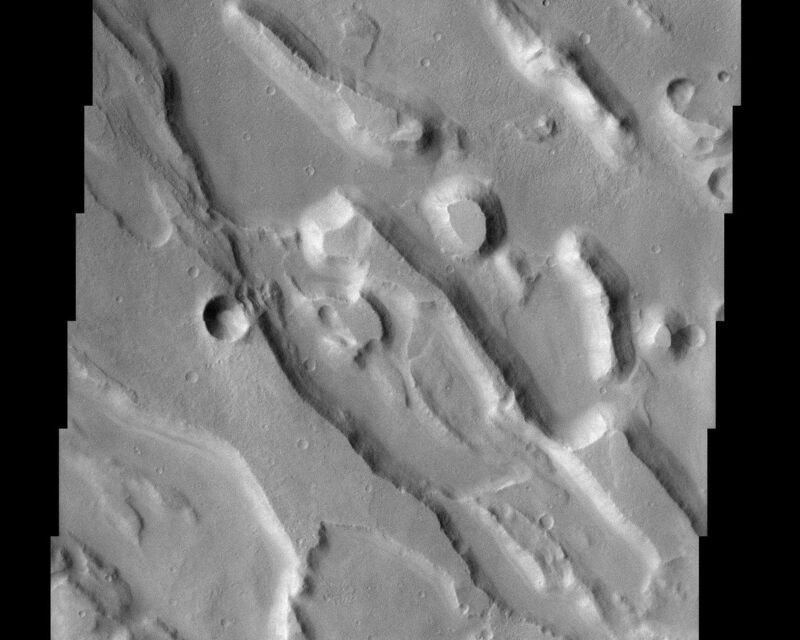 Close inspection of the THEMIS image reveals polygonal shapes on the floor of the channel system. Polygonal terrain on Mars is fairly common although the variety of forms and scales of the polygons suggests multiple modes of origin. 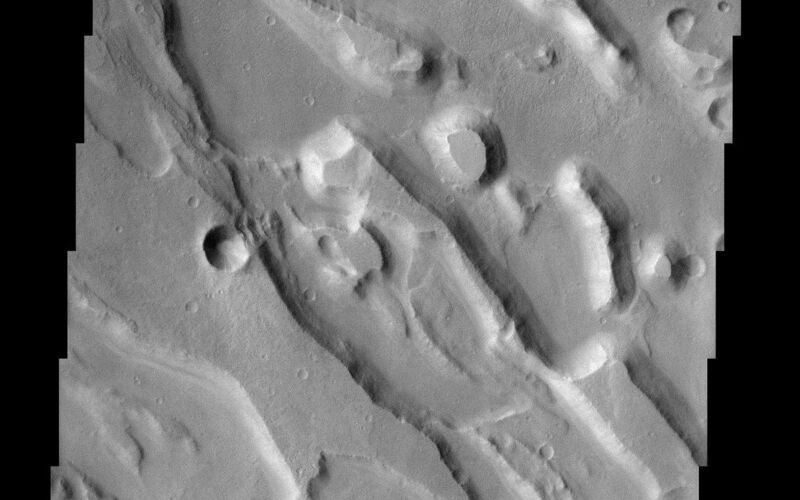 Those in Ares Vallis resemble giant desiccation polygons that form in soils on Earth when a moist layer at depth drys out. While polygons can form in icy soils (permafrost) and even lava flows, their presence in a channel thought to have been carved by flowing water is at least consistent with a mode of origin that involved liquid water.